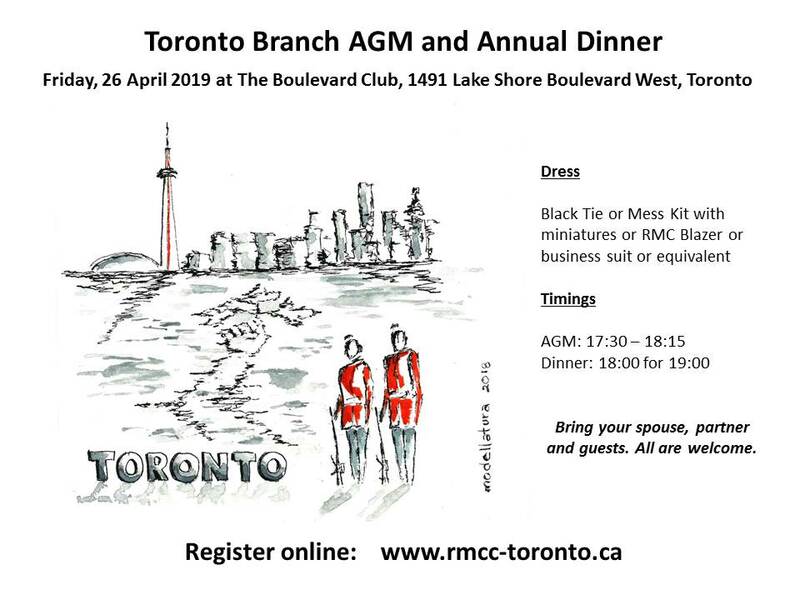 Please register through the website http://www.rmcc-toronto.ca. 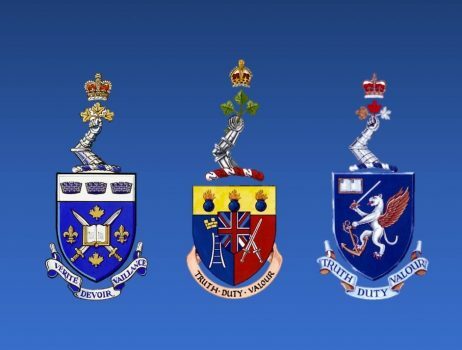 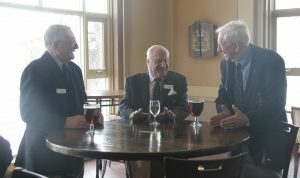 The Vancouver Island Ex-Cadet Club has a long standing tradition of awarding the Old Brigade tie to all members who are about to enter the Old Brigade. 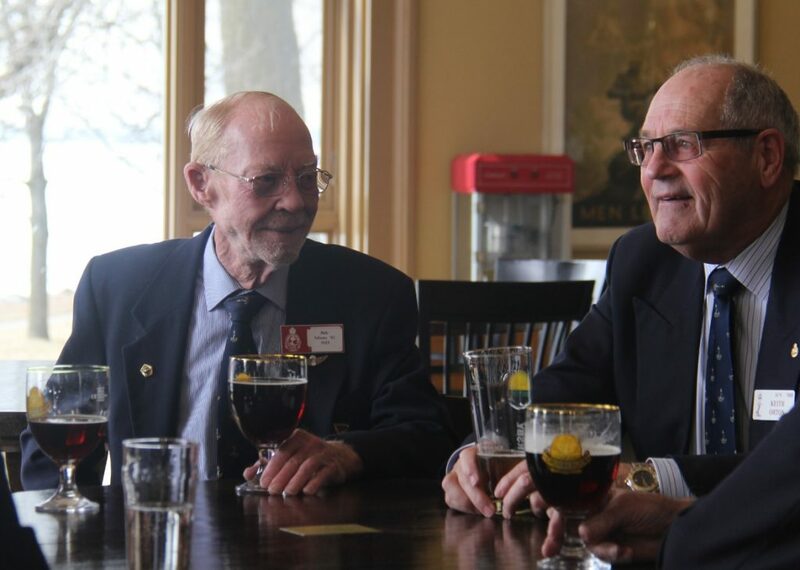 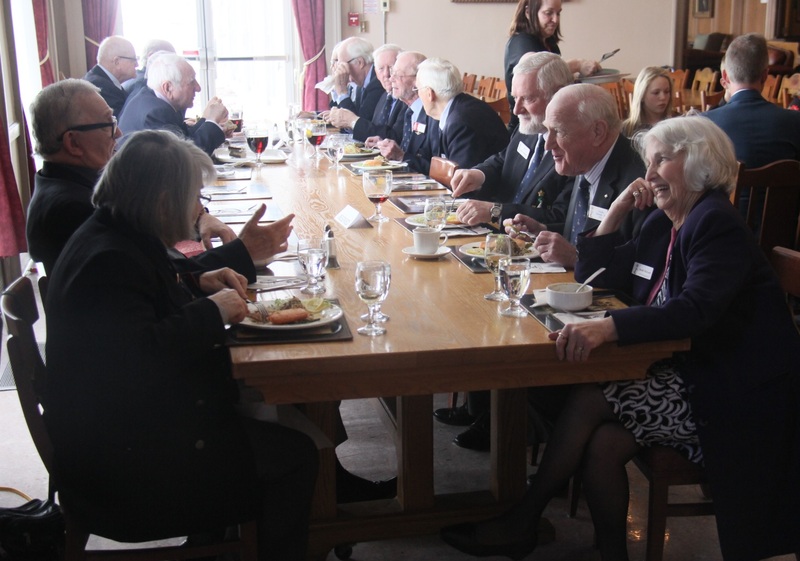 On April 4th with 72 Ex-cadets and guests in attendance, BGen (Ret’d) Archie Brown, Old Bde Rep for VIECC, presented ties to nine members of the Class of 1974. 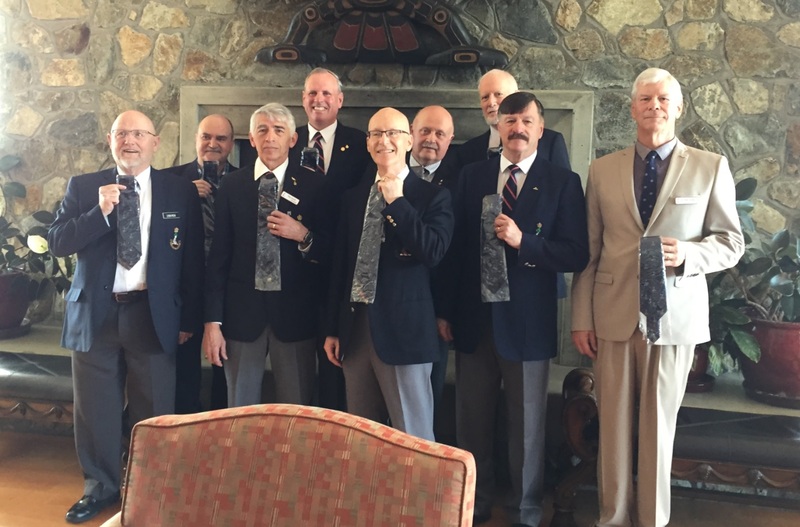 Those receiving ties were (Left to Right) 10298 Lyn Row, 10349 Gilbert Dube, 10263 Don Lovell, 10189 Roger Westwood, 10289 Henry Phillips, 10218 Paul Crober, 10216 Jon Conquist, 10223 Dan Dempsey, and 9901 Don Brodeur. 10123 Bob Howson was unable to attend and will receive his tie at a future luncheon. 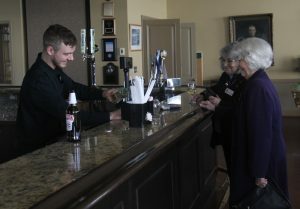 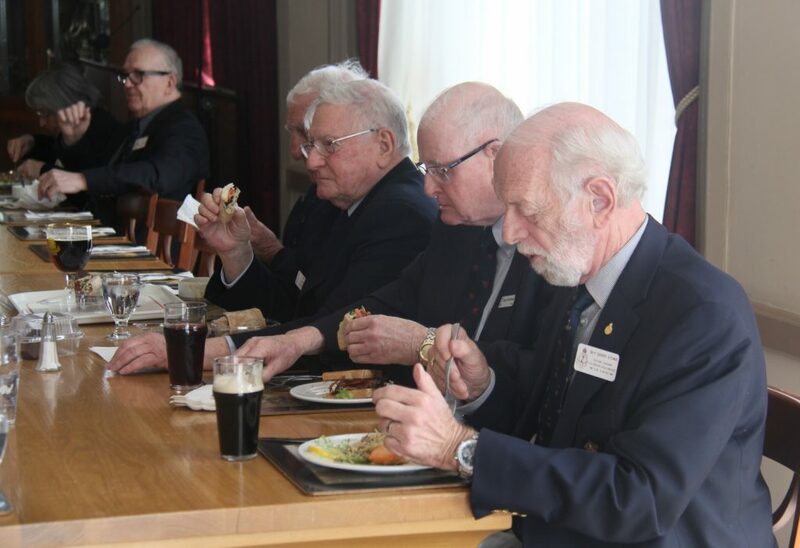 With this past Wednesday also being the first Wednesday of the month, members of the Kingston Branch met at the Senior Staff Mess for their monthly luncheon. 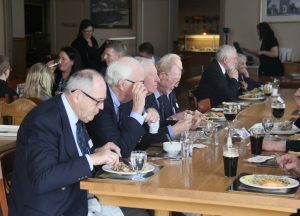 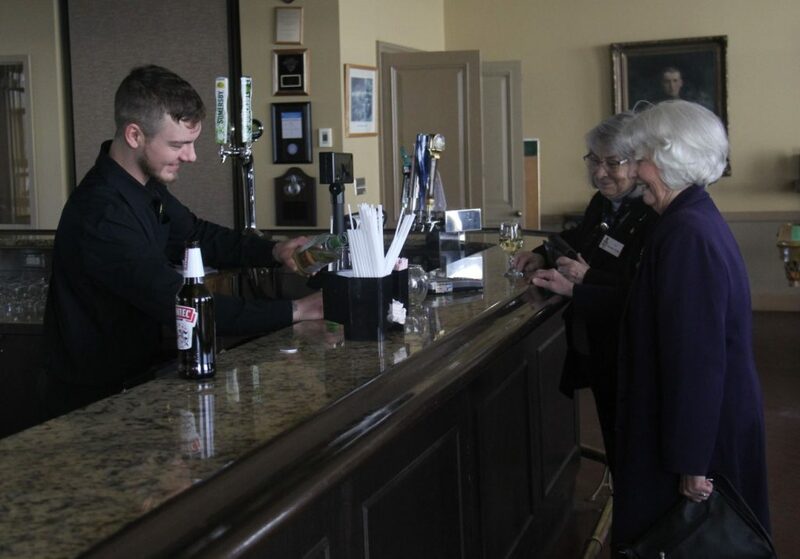 There was no speaker this month; instead, those present enjoyed mingling over drinks and lunch.